Description: These are 155mm long jumpers terminated as male to male. Use these to jumper from any female header on any board, to any other female header. Multiple jumpers can be installed next to one another on a 0.1" header. 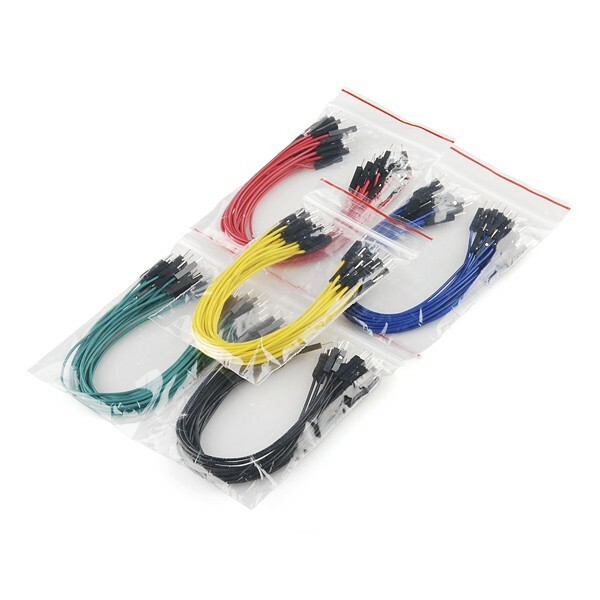 Comes as 1 package of one hundred jumpers (colors shown).